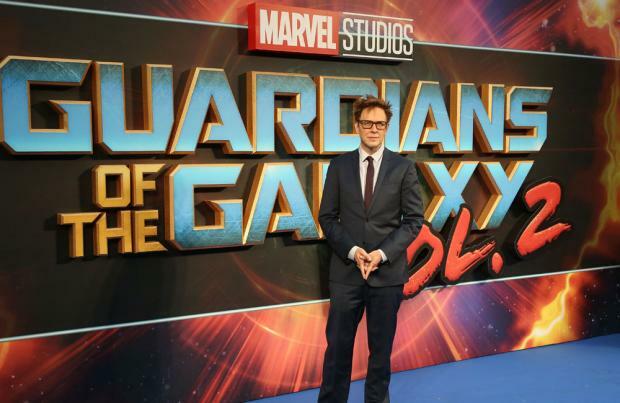 Disney has no intention of rehiring James Gunn to direct 'Guardians of the Galaxy Vol. 3'. The 52-year-old filmmaker was fired by Disney earlier this year after the studio was made aware of a series of offensive tweets he posted between 2008 and 2012, and Bob Iger - the chief executive of Disney - has revealed he hasn't questioned the decision since it was made. He shared: "The James Gunn decision was brought to me as a unanimous decision of a variety of executives at the studio and I supported it." Asked whether he still supports the decision, Iger told The Hollywood Reporter: "I haven't second-guessed their decision." Earlier this month, Dave Bautista threatened to quit 'Guardians of the Galaxy' unless Disney and Marvel promised to use James Gunn's script. Bautista added that even though he and his castmates have penned a letter venting their fury at his dismissal, he doesn't think there's any chance the director will be rehired. He explained: "I don't think the letter will get him rehired, but I hope it opens people's eyes to James' character, nobody is defending his tweets, but this was a smear campaign against a good man. "I spoke to Chris Pratt the day after it happened and he's a bit religious so he wanted time to pray and figure it out, but I was more like 'f**k this, this is bull***t.'"